We hope you love this room as much as we do. It is so unusual, and offers a true flavour of the New Forest. Treat yourself to a stay in this front-facing romantic ground floor four-poster bedroom, which also offers dog-friendly accommodation. 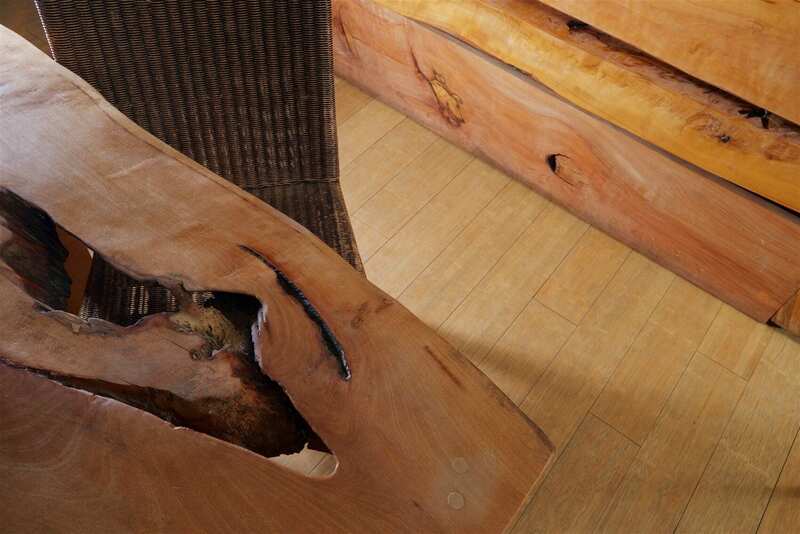 The room is constructed from local Douglas Fir and has bamboo flooring. 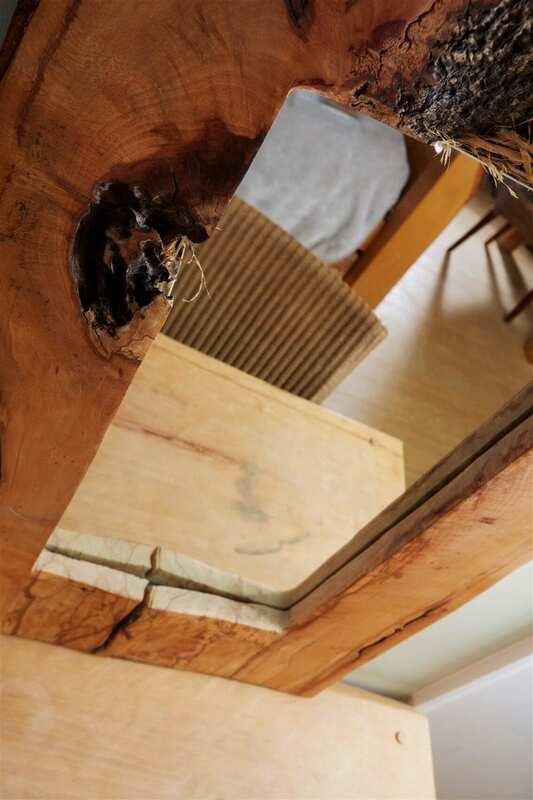 Your king-sized four-poster bed is made by the designer and artisan Rob Dyer from a beech tree felled in Brockenhurst village. 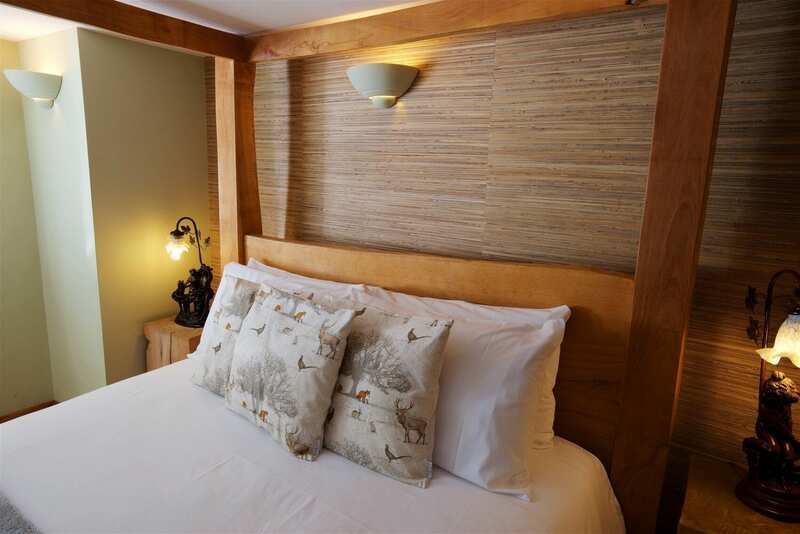 This is one of the most sensual rooms you will find at our New Forest hotel. Bring your dog to this four-poster room.Up to two medium size dogs are allowed in our dog-friendly hotel rooms. 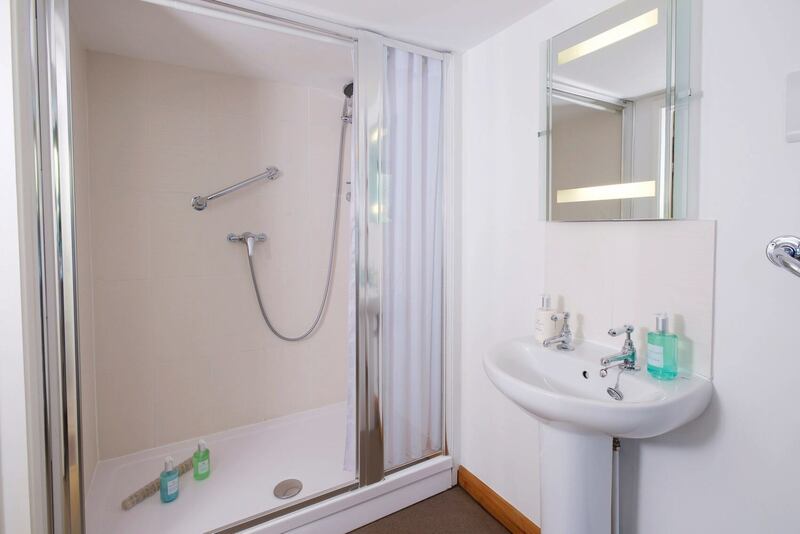 The fresh en-suite bathroom has a large shower with non-slip mat, toilet and towel rail; plus plenty of bath towels; and Gilchrist & Soames shampoo, conditioner, soap and hand lotion. Find your ground floor room and bathroom. Find your room via a short level walk through the building from the reception area. The room is at the front of the building. The en suite bathroom has a large shower. This ground floor room is also perfect if you have limited mobility. 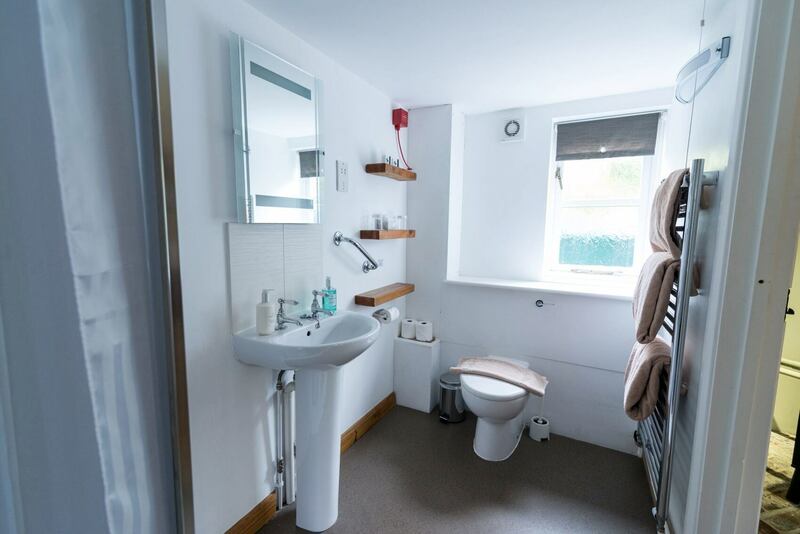 We can provide a shower chair and toilet seat riser for the en suite. Stay guilt-free. The sustainable eco-chic Standing Hat bedroom has water heated by environmentally-friendly solar panels and electricity produced by photovoltaic cells in the daytime. Your four-poster room, the Standing Hat – which means small tree-topped hill – is named after a delightful place in the New Forest on the edge of Brockenhurst. All of Cottage Lodge hotel’s 18 bedrooms are named after places in the New Forest, or people associated with the forest or the original building. Each room has its own design.